I'm hard at work on Pocket Journal no. 2. All of the prompts, lightning rounds, to-do lists and Big Ticket Items are written and all of the quotes have been found. Just doodling now and drawing in the text. This pocket journal will have four more pages than that last one. The doodling takes me forever and it feels as if it might never be finished, but I know that one day soon, I'll pass beyond that stage and the end will be in sight and I'll wonder why I ever worried at all. I've also been looking into the research on creativity, spurred on by Jonah Lehrer's book, Imagine: How Creativity Works and also by The Cambridge Handbook of Creativity, which is edited by James C. Kaufman and Robert J. Sternberg. I've become much better at keyword searches of journal databases and I'll definitely have more to say about where I'm headed with this in the coming months. More frequently now, I am receiving requests from teachers asking for permission to use my pages in their classrooms. It used to be that I'd get one or two such requests a week, but more recently they're coming in daily, sometimes several in a day. I've also been receiving more therapy-related requests from group therapy and crisis intervention settings. Which leads me in all sorts of directions, some positive and some anxiety-producing. Most of the email requests are amazing. They are inspiration itself. This morning I answered an extraordinary email from a lovely teacher who wrote about her goals for her students, including leadership, growth, acceptance, and a love of reading and writing. She wanted to include my journal pages as she works toward those goals and I am so honoured by that. I love it when teachers write to me and tell me about their classes and their schools and their hometowns. There is one teacher in Arkansas, she knows who she is, who sends me occasional updates about her classes, including photos, which is so awesomely awesome. 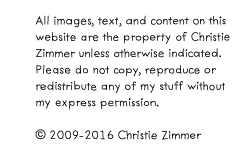 I almost always give teachers permission to use my pages in their classrooms, with only two stipulations to protect my copyright: that the pages not be changed in any way and that the pages not be used for any commercial purpose. In fact, I can't remember a time when I haven't given permission. Even when the email requests are one impersonal line. Even when the requests are coupled with the complaint that there is no single file to download all pages at once. Even when it is abundantly clear that the person making the request has come to take the free pages and go. Immediately, if possible. When I answer those emails and as I'm writing this right now, I feel just awful. Like I'm doing this all wrong. Like I am making a serious mistake in giving these pages away. But then, I'll open another email and it will be full of appreciation and really thoughtful, constructive feedback and I realize that maybe I have created something that reaches people in meaningful ways. Or I'll read your comments, you who still comment after all this time, and I am once again so grateful for you and for this place and I think that maybe I'm not doing it wrong at all. Maybe I just need to be patient and trust that I'm still heading in the right direction. Maybe. I don't know. It's something I'm working on behind the scenes. It's summer now and my curious, growing girls are summer vacationing all over the place, leaving crumbs and craft glue wherever they go. We are also getting ready to head back to the Bay of Fundy soon for a few weeks spent hiking and eating sticky buns and waking up to the sound of ocean waves. i think you are so amazing, i love how you share your insecurities with all of us. it helps me to know that i am not the only one second guessing themselves. can't wait to see what you have in store for us, especially interested in your take on the subject of creativity. Hi Beth! I'm so glad I shared. Can't wait to talk more about creativity. Just trying to let all the info sink in. Hope you'll stay tuned! It sounds like your hard work is touching and helping many people and you are so generous to give it away so freely - truly the mark of a good person. ENJOY your Bay of Fundy time as well as the rest of summer as it unfolds. Good advice, Scribbler, as always. :) Hope you're enjoying your summer, too! You are a gift. Never doubt yourself. I am compiling all of your pages together in one bound journal for my daughter, a 3rd/4th grade teacher at Forest Grove Community School in Oregon. She will be inspired. I am also making each of her students a blank wire bound journal made with the covers of children's books. I didn't even think about asking permission for a set of your pages for each student, but I won't now. Would that be okay in the future? Thank you very much for inspire me every time I read your blog. I have just found you and your lovely, fun, quirky, inspirational journal pages. Thank you for perservering. I am also intrigued by your posts about your friend and the ray of sunshine you are in her life. Thank you for sharing of yourself with us. You are such a sweetheart and I really do appreciate all the beautiful pages you so willingly create and share. Here's a whole bunch of thank-yous for all the people who didn't stop long enough to leave theirs: Thank you!!! I know that feeling of "Am I doing this right?" and only time will give you the answer... but I think that you are personally giving so much to the world!!! your unique point of view, which is what gives you the ideas of what to write down in your journal pages, is wonderful... and I'm sure that by sharing this guided journals you make a lot of people realize and think about things that they wouldn't on regular basis... you are opening new worlds to them, sometimes by focusing in the simple daily things, sometimes by going further and deeper. I must say thank you thank you thank you thank you thank you for the journal pages! I have them all printed out so my three kids (13,12,10) can start to learn how to journal in a different way. I had given them a spiral notebook and that was good for a bit but your journal pages are unbelievable! So thank you for being so kind and giving, my husband has been laid off for 7 months so.... Money is very tight! So at this time we are just doing the free pages but we hope to change that once he is employed again.... Thank again from the bottom of my heart for the all your hard work and kind generosity on posting the free pages!! Thank you so much for stopping by to share. :) I'm sorry to read about your husband and so touched that you are using my pages at this difficult time. Sending best wishes your way. Thankyou for your journal pages, they are really great, and I am so glad I stumbled across your blog and am now a regular reader of it. I like how your posts are 100% real! Soon I hope to be able to purchase the extra pages but right now I am thankful that you have free ones, otherwise how would I know that your great at this? One blog post was all it took to get me hooked on your blog and that was before I saw the awesome downloadable journal page. 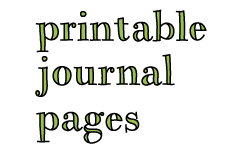 Offering free journal pages to accompany your blog posts is a GREAT way to give people a 'taste' of who you are and what you can do(a way of creating an identity)...but ONLY if you plan on doing much, much, more. Every one of your loyal followers can already see that you have what it takes and that there are bigger, greater things to look forward to from you and so don't feel awful offering free samples of your work, as this is just the beginning and its good for your fans to have something to tide them over so keep em coming if your able, it will bring more people here. It's normal to have doubts and question yourself just don't let that inner critic hold you back. You haven't 'peaked' and these pages are just the beginning of something more. As an artist/writer Keri Smith is one of my goto muses(? ), any one of her books or even her blog posts never fail to rejuvenate my creativity..She is great at taking one back to that time in our childhood where our imagination knew no bounds and reclaiming it. "How to be an Explorer of the World" and "Living out Loud" are my favorites. Anyways, consider this your playground, a place to try things out and consider us, your followers, willing guinea pigs....Keep up the good work! Thank you for sharing your talent. I have been working with my children to journal write more often. Your pages have help me and my family significantly. Again, thank you! Thank you for helping me to build dreams, day by day. You are such a sweetie! Thanks for mentioning me in your post. I intend to use the pages again this year for my 7th graders. It was a very successful project, and they grew as writers and thinker. You're awesome for sharing your creativity with us. Thanks again and again. I've been loving my pocket journal. If I could afford it, I'd buy one for each of my little 7th grade ducklings! I wish I could someday meet you...we'd be fast friends. Enjoy the rest of your summer. Keep jumping out on the limb...it's the way we all grow. Some time by the Bay of Fundy sounds awesome! Enjoy! I had meant to comment on this post when it went up, and then I forgot. I just wanted to say, that there are ALWAYS going to be people that take advantage, are rude and critical, or just plain unhappy that things given freely and generously aren't good enough for them or exactly how they want it. Those people are idiots and you shouldn't let them get you down. It's obvious to me that your journal pages are helping SO many people and I think all of that good outweighs the negativity. I admit, I usually download new pages and don't take the time to leave a comment saying thank-you. But I do say a little silent thank you as I'm clicking that link every time. Keep on doing what you're doing. This world needs more generous people like you! And thank you, so very much! I've fallen behind on blog reading, but I just wanted to let you know that I think you are doing things right. Sure, you could stop giving away things for free and maybe make more money, but there are a lot of people you are helping, and a lot of people (like me!) found you because of the free pages. No matter what you do, there will always be people who take advantage, and there will always be people who appreciate your work but don't say thank you (maybe because they forget or don't have the words), and then there will be the fans/loving friends who love everything you do. I'm kind of mad that some people complain! I love what yo do, and I think I see the style in other places- your impact/influence is felt. I also appreciate where you are taking this adventure. My computer crashed a few months ago and I lost the special pages you made. I regretted that most of all, because I felt I was loosing a I true of a treasured friend. I know I can reload a majority of the pages and it is NO SACRIFICE to do this. I don't say this enough, but thank you, thank you, thank you! Your talent is rare I love it. By the way, enjoy the Bay of Fundy. My parents went there last year and had a good time. They said it was relaxing. I love your journal pages and appreciate that we can get them free. I have your pocket journal no. 1. I love looking at it almost every day. I have not written in it (yet), but do fill in the blanks in my mind. What I like about the journal and journal pages is that when I am in a crappy mood or feeling a little down, I just read a journal page or 2. It brings me back to happy state of mind. Thank you for the prompts for journaling, love to write but need help getting started. Take care. Your journal pages are so amazing and fun! I made three copies and put them in small binders in sheet protectors. I gave one to my mom and one for to mother-in-law for Mother's Day. The third one I kept for myself. Just so you know, I would pay if you were to charge. It's too bad people are so unappreciative. Thank you for your kind gift and for sharing your creativity! I came to your blog by who knows where but I love your journal pages. I just downloaded them all. I'm going to use them with my daughter and god-daughter. They both love to journal. You have to remember there will always be someone that will complain. If what you are doing makes you happy then it's their problem not yours. I'm sure you have more happy comments and emails than unhappy ones. I just saw what was sold in your etsy shop. If those journals are anything like these pages, I will be buying quite a few! Thanks for all you do. I am one of those teachers that just sent you a request. I can tell you part of the reason for the increase in requests: you've been pinned on Pinterest! I found you via the education board. BTW, most teachers adore Pinterest, as it lets us stumble across ideas and materials we might never have known existed if another teacher hadn't shared his/her discovery of it. I am very grateful you made these pages and are willing to allow teachers to use them for free, but if you decided to compile them (Sorry to suggest it; I did read why that breaks your heart and understand.) and offer them, I still think many teachers, like myself, would purchase them. You put time and heart into making them, and it isn't wrong to ask for compensation for that. 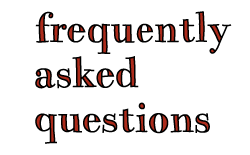 I offer a lot of my creations for my classroom on my tiny blog for free, but what you are offering is very complete and abundant. You should feel proud asking for your talent and time to earn reimbursement. On the other hand (so you will know how appreciated your gift is), many teachers work in underfunded schools and provide much of their supplies and materials out of pocket. I know this is true for me. I work with many economically disadvantaged students. Many of them are living well-below poverty level. We also serve the kids living in the long-term domestic violence shelter, the homeless shelter, and Child Haven. Every free resource I discover allows me to stretch the money I have to improve the education of my students. Thank you for creating these pages and sharing them (free or otherwise). Using them in my classroom will allow me to encourage students to write about content that matters to them and has meaning in real life while allowing them writing practice, of which they don't usually get enough. I also found you on Pinterest. I have been looking for pages like this for a long time. It gives me a chance to just jot down quick stuff and feelings, and then look back on them. Based on the comments throughout all of the journal pages, your work has not gone un-appreciated. I myself, appreciate it greatly, and would like to personally thank you for the effort you have put into this. I came to your blog/journal pages via Pinterest and was blown away. As a substitute teacher, I am always looking for small time-fillers to use in the classes I am in. I thought your pages might be perfect. And they are. But then I realized, how much I liked them. For myself! And then as I was printing the first few pages, it dawned on me that I had stumbled upon the BEST gift for my teenage daughter. She loves reading and artwork, but struggles with writing unless inspired. Your beautiful and creative journal pages have so graciously provided that! You are awesome! Thank you for your creativity and your generosity. P.S. --I should also note that I spent most on my morning home from work reading your blog and printing the pages as I went. Your site has become one of my favorites!